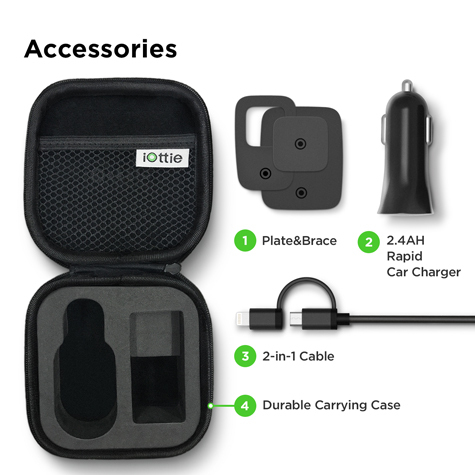 The iOttie iTap Magnetic Mounting & Charging Travel Kit includes everything you need for your next trip. 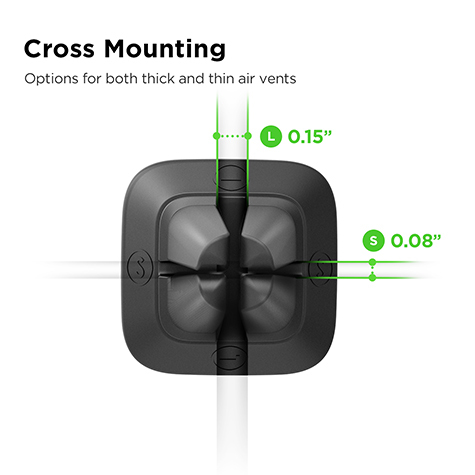 Simply place mount onto air vent, and the metal plate onto your phone or case. 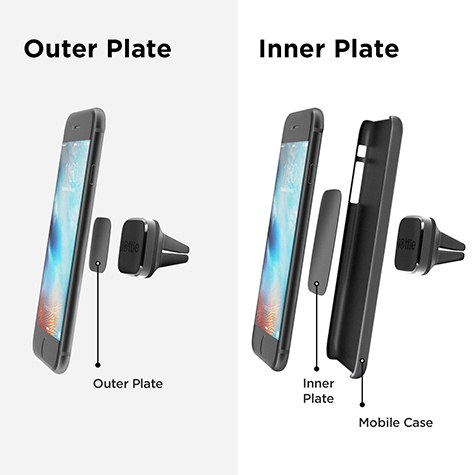 After the metal plate and mount are installed, easily mount your phone with just a tap. 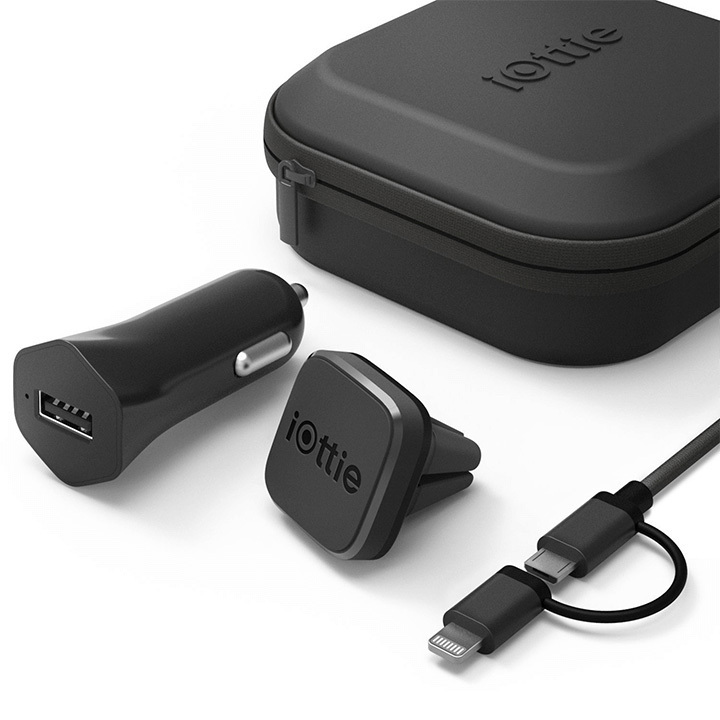 Use the included car charger and 2-in-1 cable to power your Android or iPhone device. Keep everything together inside the convenient carrying case. If you are traveling near or far, the iTap Magnetic Mounting & Charging Travel Kit will hold and charge your device so you can drive safely. 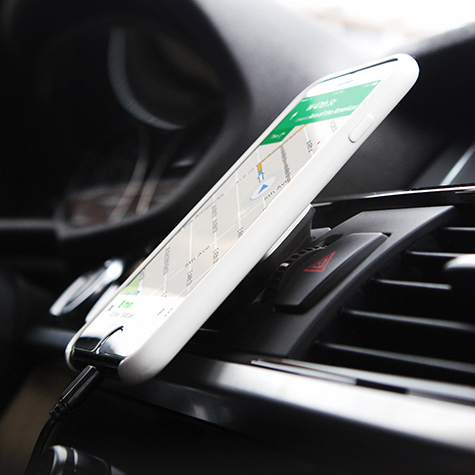 iTap Magnetic Mini Air Vent Mount utilizes one super strong rare earth magnet that is 100% safe for your smartphone. Metal Plate easily attaches to back of your smartphone or inside the case to hold any device safely. 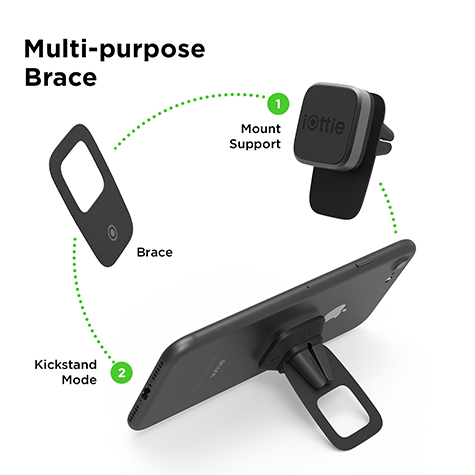 The brace can help to support mount when driving and can also be used as a kickstand to prop up your phone when you’re out of your vehicle.